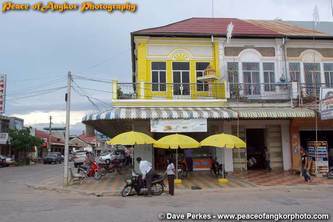 his sleepy town to the west of Cambodia is known for is French Colonial architecture and delightful scenery that surrounds it. 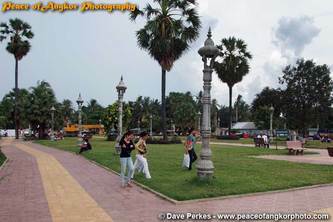 With a population of around 150,000 it is one of the largest cities in the Kingdom. 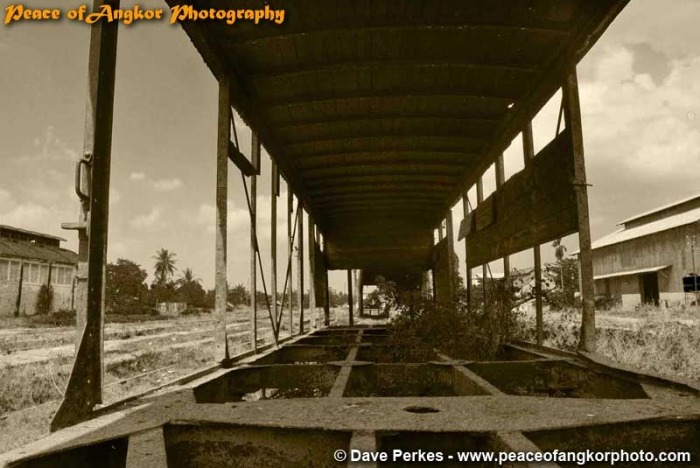 Battembang was a village of wooden stilt houses until the end of the 19th Century.With the building of the Railway line to Phnom Penh; Battembang was developed with increasing industrialization. 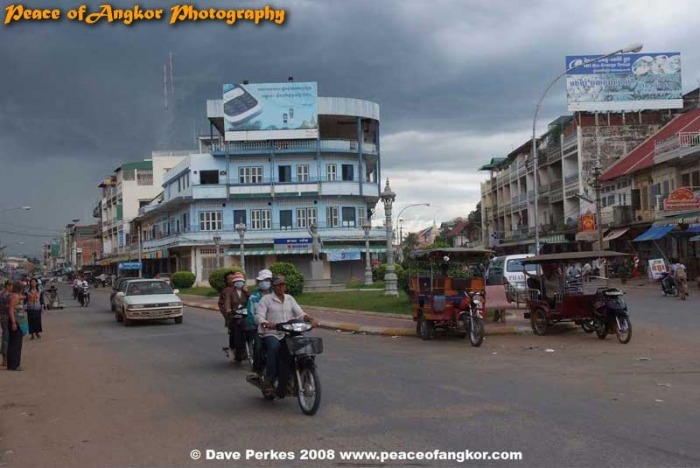 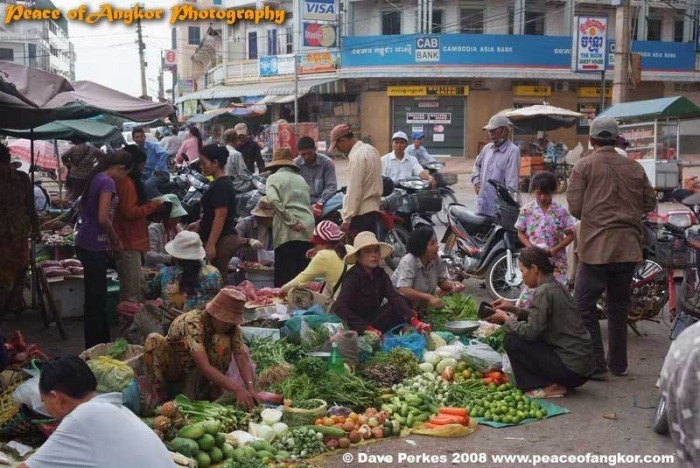 Development continued after independence; up to the beginning of the 21st Century it was the second biggest city in Cambodia. 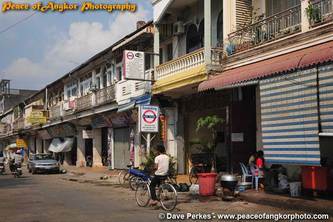 Battembang has around 800 heritage building from the French colonial era which makes it one of the most complete city of its kind In Cambodia; if not SE Asia. During the 1930s the well known Psar Nath Market was constructed in classic Art Deco style by the same architect who designed the bigger Central Market in Phnom Penh. Another gem is the French Governors residence which is situated in parkland to the south. In early 2010 it was undergoing restoration. There are many Buddhist wats, the most historically interesting is Wa Damrey Sor ; the white Elephant temple built in 1907 with an attractive riverside park nearby. Battambang is Khmer for "disappearing stick", refers to a legend about Ta Dambong; a farmer who found a magic stick and used it to usurp the king. The king's son ran away to became a monk. 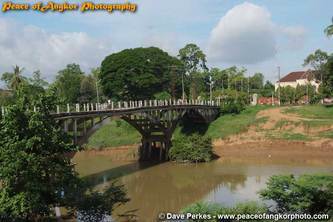 Ta Dambong dreamt that a holy man on a white horse would kill him, so he had all the holy men rounded up and put to death. The prince heard he had to go into town, a hermit gave him a white horse. 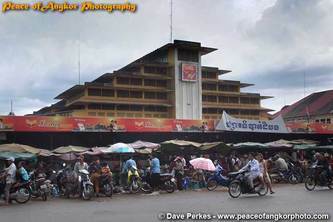 The Horse could fly so when Ta Dambang saw the flying horse he threw his magic stick at the prince. it did not work so Ta Dambong fled; never to be seen again. 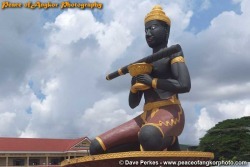 A large statue of this legendary figure can be seen at a roundabout at the main entry to the city centre. 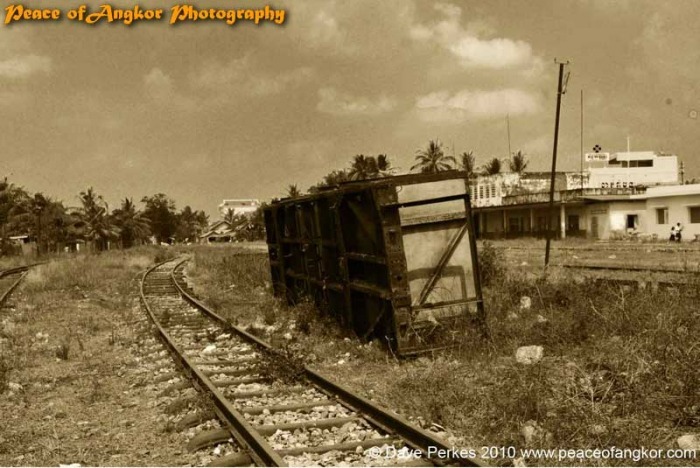 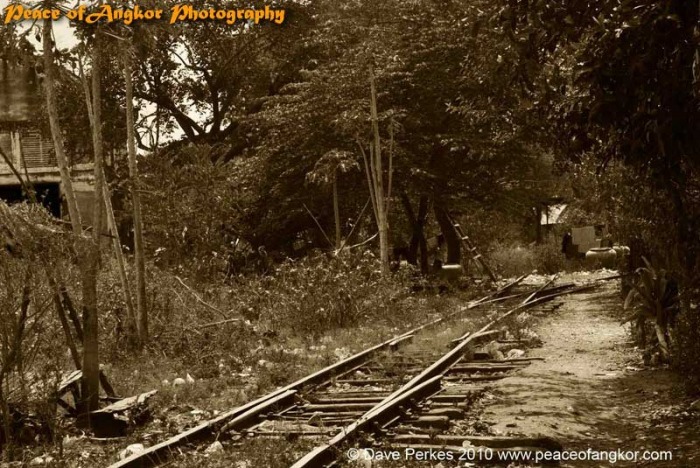 The metre gauge railway that linked Phnom Penh to Battembang was built in the 1930s and was extended to Sissophon and Poipet in the 1950s. The route to Thailand was broken in the 1970s after the Khmer Rouge dismantled the section between Sissophon and the border. 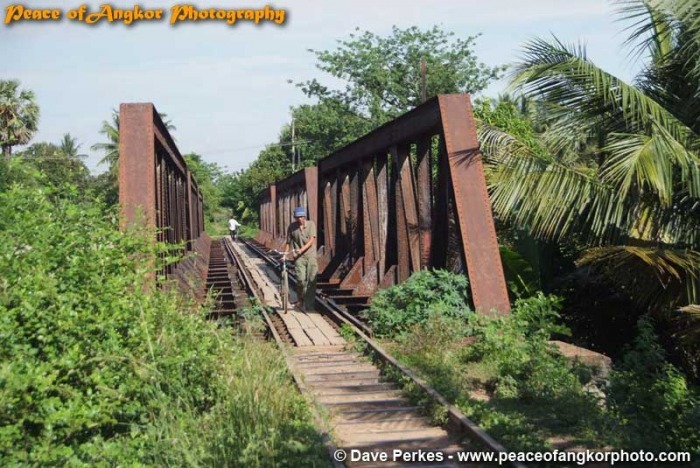 After Liberation by the Vietnamese in 1979 the railway returned to use. However the civil war continued with lot of military activity in the north and west. 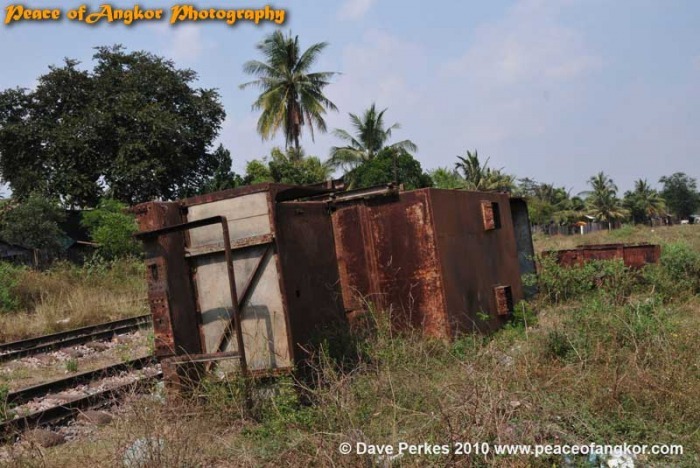 mines a bombs were set on the racks and the few trains that made the journey, had a flat bed truck that could be sacrificed if the worst happened. Apparently people could get a free ride on that truck if they were willing to take a chance! 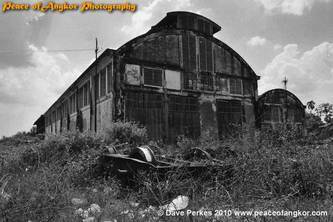 The station area was undergoing refurbishment April 2011; so the scenes pictured here will soon be history! 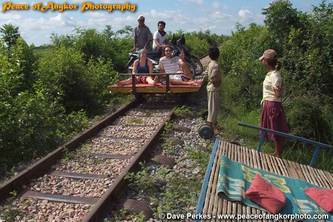 The tracks were not maintained even during the 2000s so parts of it look more like roller coaster than a railway line ! 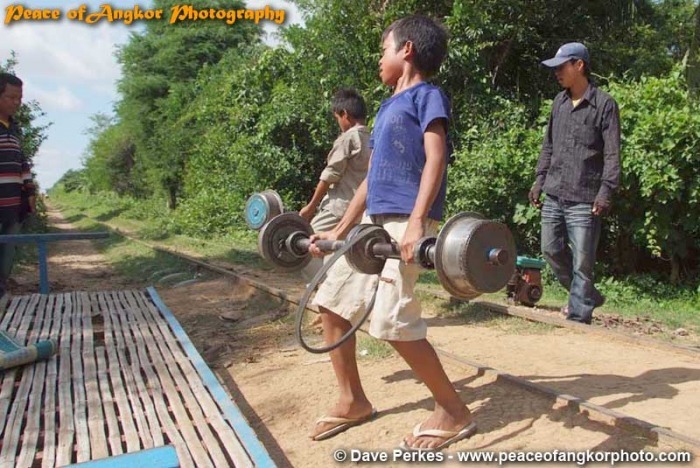 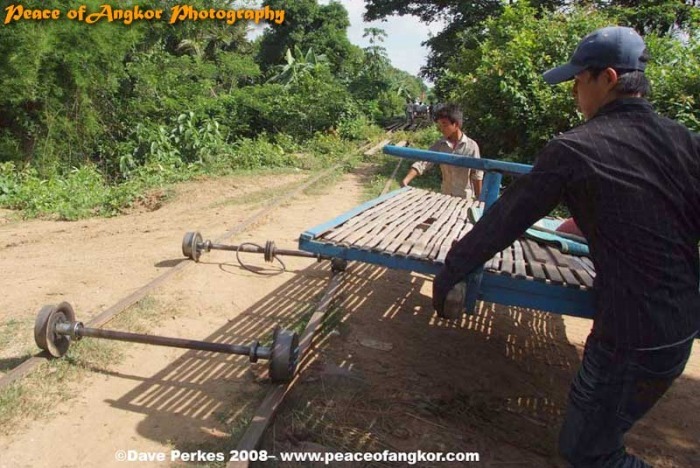 Regular rail traffic decreased; however enterprising villagers built small trucks from metal and bamboo to use to carry people and goods along the tracks between regular train traffic. 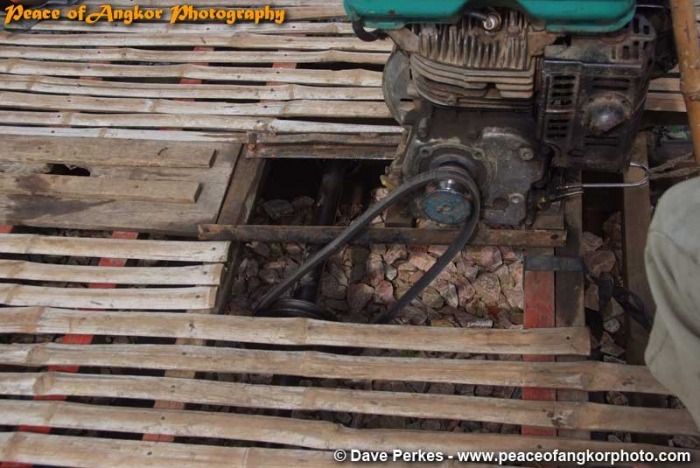 The lightweight platforms were propelled by the use of bamboo poles. 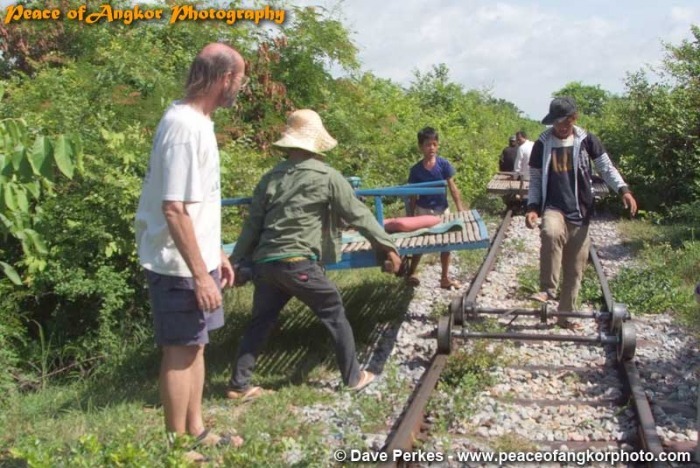 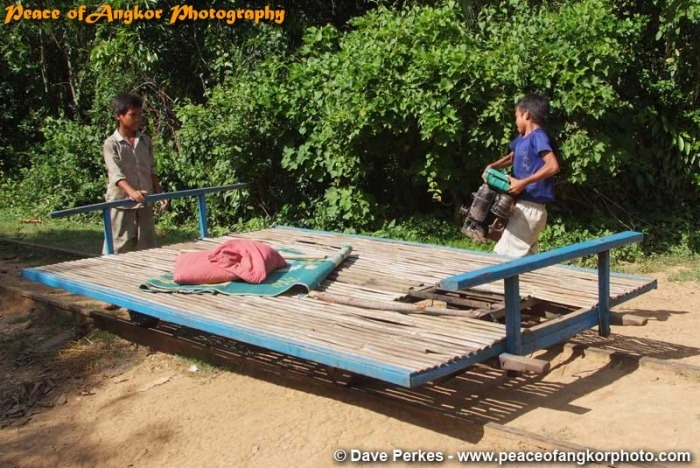 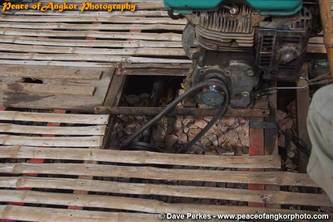 When a train or another bamboo truck appeared the goods were removed and the truck lifted off the tracks. In later years the trucks were powered by tiny engines and robust metal frames were used. 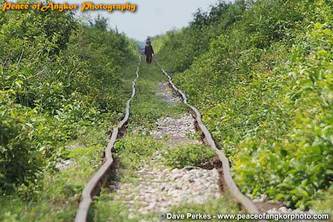 In 2007 the railway lines were abandoned; so the villagers had the tracks for themselves. A minor tourism industry built up around the Bamboo trains. 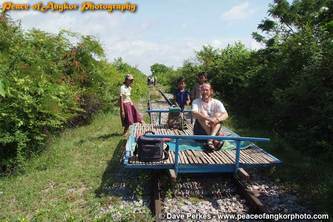 They are a popular activity and a fun way to see the countryside. Sadly the fun will not go in indefinitely; the the rail network is being re-built. 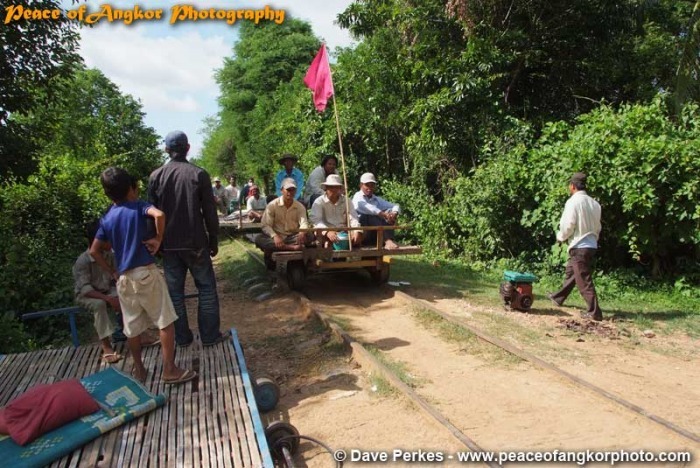 The new line from Phnom Penh to Piopet and the Thai border is scheduled for completion in 2013; so by then the Bamboo trains will be history! 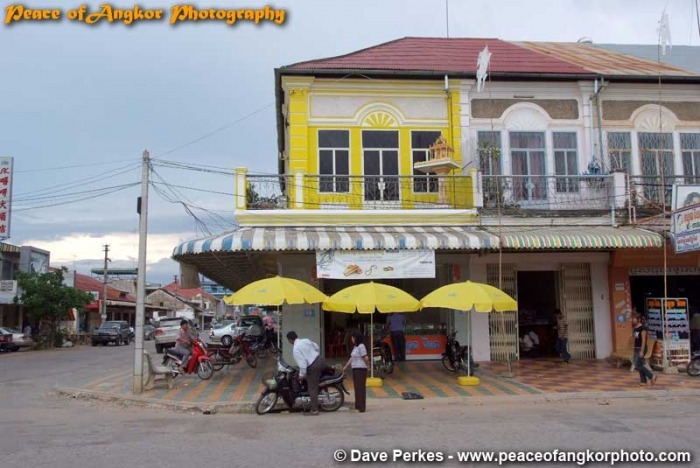 Accommodation in Battambang is varied, from budget guest houses to luxury hotels. 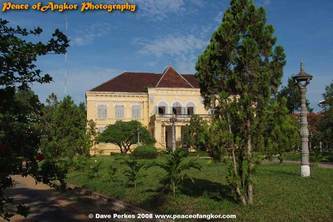 The Villa: Old world charming French run villa hotel on the waterfront $85 + . 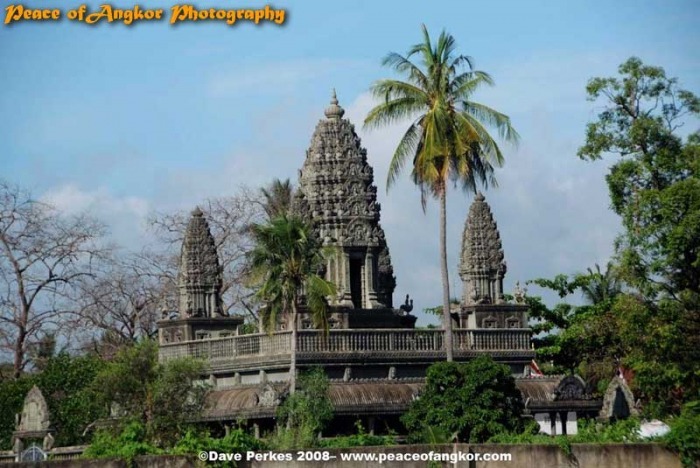 It has a luxury ambiance that few Cambodian hotel can match and the garden has a small pool. The Royal Hotre: An unpretentious hotel near the Psar Nath Market, Rooms have a/c etc are big and very ornate $15-$30. The Sanctuary : A Stylish small resort with bungalows surrounding a lovely pool garden $70 Upwards . 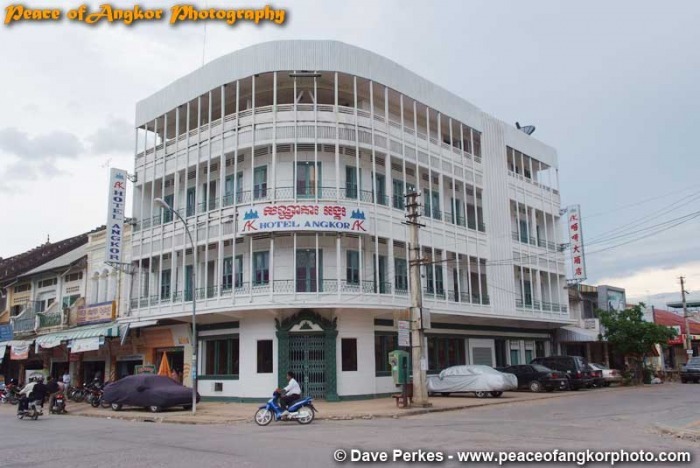 Khemara Battembang: New hotel with pool on the edge of the City $30 - $50 it has rooms of a quality far beyond its price and the best and biggest swimming pool in town.